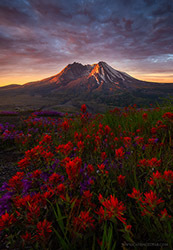 Our sincere thanks to Candace Dyar for accepting our invitation to be our featured guest photographer this month. We really appreciate her time and generosity to share her beautiful photography with us! Please visit her links to see more of her work, and to let her know you enjoyed this interview. Before anything else, I just wanted to say thanks for having me here. I appreciate it! As for my start in photography, when I was a teenager I would frequently go out hiking with my father and brought along my trusty point and shoot Minolta film camera. It was a hobby for me back then, and I never really envisioned it going anywhere from there at the time. After that, it sort of fell into my lap again about 7 years ago. I went hiking a lot and I would frequently venture out exploring around the forests of Washington State, hitting the trails whenever I had the chance. I also worked around the latest and greatest digital SLRs at the time as a territory manager in the retail industry. One day I decided to purchase an entry level Canon SLR that I had been looking at and playing around with for months, and on a whim took it along with me on a hike. That's when I realized just how much I had been missing and passing up along my hikes. My hiking ventures very quickly took a shift and became more and more about focusing on photography and exploring my own creativity. I started learning more about myself and fell in love with the process of self discovery while photographing the beauty of the wilderness. :: How does your background in Art History help make you a better photographer, and were you an art history major in school? I majored in Art History with a focus in the area of Modern Art, specifically Luminism and Surrealism. I originally started out as a Sociology and Criminology major and had quite a few interests in college. I wasn't sure what exactly I wanted for myself the time. While I pursued more than one interest, art history became my primary focus. I attribute that to having an inspiring professor who really made everyone think outside the box, encouraged students to form individual opinions and explore various ideas and possibilities, versus merely regurgitating and memorizing textbook information. I had no idea that this background would end up playing a big part within my photography and it generally happens without me even realizing it. When I'm out in the field shooting I'll often start to envision a certain painting or work that I've seen, which then very naturally influences what composition I end up choosing, along with what the final image will look like in post-processing. I'd like to think that there is a painterly sort of aspect to my images and that is an artistic style that I aspire to have. If I could be a painter versus a photographer, I would do it in a heartbeat. Unfortunately, I don't have the skill or extreme patience for it and I admire those who do. Using the medium of photography allows me to, in essence, become a painter vicariously, while also documenting and sharing my love of the landscape and nature around me. :: You've mentioned in other interviews a lot about early exposure to hiking and wilderness, and how it shaped the subjects you photograph. How do you try to pass that on to your daughter? I know she's getting into photography a little as well. What kinds of lessons do you pass on without trying to force the medium on her? I think the key is to start that sort of exposure to the natural world at a very young age...the younger, the better. I believe that the older you get without having that sort of exposure, the more likely you'll end up experiencing a disconnection there. Although life can get really busy, I make it a point to get outside with my daughter as often as possible, whether it's camping, going for hikes or just a walk around the neighborhood. It seems like instant gratification is more of the norm for kids now with video games and digital technology. While I'm fine with that to a certain extent, I do also think there should be a limit. It's vital to have a connection with nature and to read books. Something isn't quite right when most kids are spending several hours per day, almost on a daily basis staring at a television screen. What I've noticed over the years with Belle is that she has definitely grown more of an appreciation for the wilderness, to the point where she likes to research on her own about it. Her Christmas wish list this year includes books about the natural flora and fauna of the Pacific Northwest and requesting to keep her own nature journal. Taking the time to be in the wilderness is also a wonderful opportunity to bond, and I attribute having an overall close relationship with Belle to this valuable mother-daughter time we share together. We've had some deep, thoughtful conversations while hiking a few miles out to waterfalls, sitting near a campfire or inside of a tent, just the two of us. It reminds me of when I was younger, and the best memories with my father were while camping, hiking and fishing. Those are priceless moments that kids cherish when they are older, and I try to keep in mind how limited my time is with her before she grows up. Belle became interested in photography while on our hikes together over the years. She noticed how enthralled I was with everything around us, attempting to capture it in images. As a result, she started bringing along her own little point and shoot camera and ended up enjoying it as well. Eventually, she said that she wished to someday have a nice camera like mine, so Ryan and I got her an entry level SLR for her 10th birthday last year. I think that it's extremely important to not force any hobbies or sports on your kids and I've been just letting her explore the medium on her own. At that age, kids generally have a shorter attention span, and I'm more than content with letting her do her own thing. If she asks me questions regarding manual settings, then I help her. We recently had a waterfall shoot together and I was teaching her more about long exposures because she thought they looked cool. As of right now, Belle seems the most content while trying to capture wildlife and macro images. She also frequently enjoys our ventures with no camera in tow and likes to just appreciate everything around, along with enjoying more of the hiking aspect of the journey. It's nice because she really keeps me grounded and helps me remember the primary importance of being out in the wilderness, which is taking in the moments and soaking in the beauty around you. Photographing it should always be secondary. :: When it comes to gear, where do you rank on the spectrum of someone who has to have the newest gear, and lenses…What do you look for when you're buying new equipment? I definitely rank somewhere on the lower end of the spectrum. I currently shoot with the Sony A7R with no plans of upgrading any time soon. I also plan on using the same lenses for the next couple of years. Prior to that, I used a Canon 7D for several years until a friend offered to take it off my hands. I was leery about even replacing my Canon because I really enjoyed it, but the Sony was a huge upgrade for me all around. I chose the A7R as a replacement because it made the most sense for me. It didn't seem financially wise for me to switch out my lenses going the Nikon route, and the reviews and feedback on the Sony seemed to be almost on par with Nikon at the time. It needs to be a big upgrade if I'm going to replace a camera body or lens. A few extra pixels and slightly better handling of noise in lower light situations doesn't cut it for me. While I have read that the A7RII is better in certain ways, I'm betting that it will be replaced with something much better in a year or two. Perhaps then it will translate into being a good upgrade for me. I need to actually notice a difference in both the RAW and processed image files to where it would be worth it. However, if you do photography as a full-time profession and can write it off or if you have the extra money in your annual budget to spend on new gear every year, I think that's understandable to want the newest technology and to go for it. Ultimately, the latest and greatest technology might get you some extra detail, better noise reduction and shadow recovery, but it isn't a substitute for the creative eye. It boils down heavily to the artistic skill of the photographer that determines the outcome and quality of the image. :: Being married to a well-known landscape photographer, I'm sure, has pros and cons. How do you think your work differs from Ryan's, and how do you approach a scene differently when you arrive? Do you ever look and think, “if he's shooting this way, I'm going to look for something over here”? My creative style is definitely distinguishable from Ryan's. I think at this point that you are generally able to see an image via social media and identify it as a Ryan Dyar shot because he has formed his own recognizable signature style. He has made that style his own for the past several years and it separates his work from everyone else. That is extremely admirable in my opinion and not easy to accomplish as an artist. I think I might still have a ways to go before I ever reach that point myself, but I do certainly aspire to get there someday. When we are out shooting together, we aren't often actually close together. While we might end up taking a few shots within close proximity of one another, that doesn't happen too often. We almost always go off and do our own thing at some point, and then meet up afterwards. As a result, our compositions will generally end up being significantly different from the same area. Ryan tends to gravitate more towards the grand landscapes and might get more up close and personal with his foreground than I will choose to. When he finds the shot he wants, he will camp out there and dedicate most of his time to one particular composition, whereas I tend to move around a bit more, depending on the area and conditions. I like to explore the surroundings as much as possible if there is adequate time. That might end up being a blessing or a curse at certain times, but I also tend to gravitate more towards intimate compositions and sometimes wildlife imagery. When I originally purchased my Canon 7D several years ago, it was with the intention of dedicating my time to shooting wildlife. I quickly came to realize that was not meant to be for me, as I don't have quite the patience and gear that I should for that. However, should the right moment appear, I will do my best to capture it. Overall, our styles definitely don't blend together as a couple, and our experiences in the field are considerably different. I think that is a positive thing, as we plan out future workshops together. It's important to be able to bring a different perspective and creative suggestions to the table, or else you aren't offering much substance or added value to your clients. 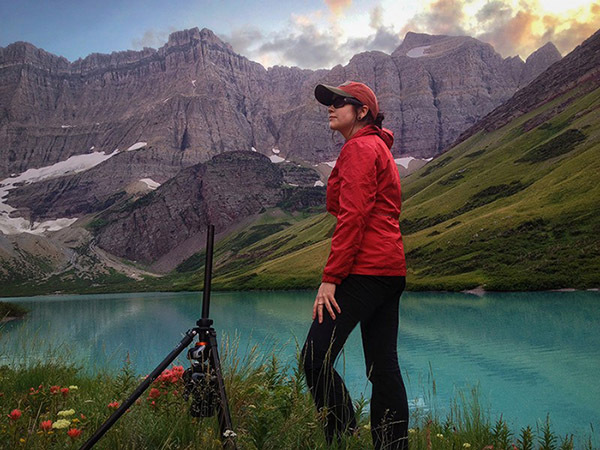 :: There's so many great female landscape photographers. Do you think there is a difference in the way they approach the medium and subject of landscape photography that differs from the males in the medium? If so, what? 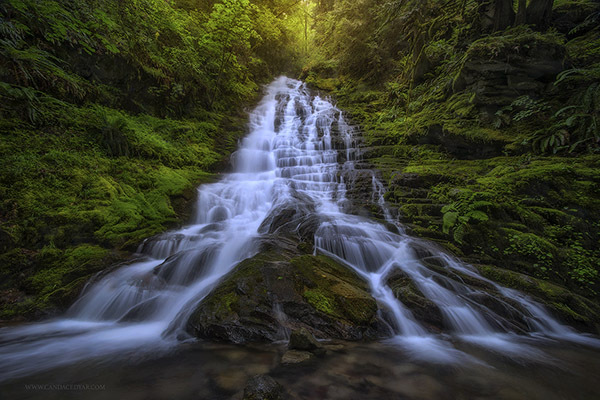 I'm really happy to see that more females are being noticed in the landscape photography world. Perhaps females bring more of a practical, grounded sort of approach to the plate. The women photographers I personally know generally tend to place the greatest value on being in the moment and experiencing the beautiful place around you, far above the need for getting that perfect, ideal shot or composition from a location with epic conditions. But ultimately, I think that there are both male and female qualities to having a relationship with nature. While that might seem to be a surprising statement for some due to various societal norms and boundaries, I believe that if we look within ourselves, we'll find that we all have both masculine and feminine qualities within us. I would really like the issue of gender to not become a narrow topic that is pushed, if that makes sense. It might seem silly, but I am not aware of being female or a woman with my photography. I don't really think about it at all when I'm out there shooting. What exists there for me is an inherent desire to be independent, strong and creatively unique...an artist and human expressing both a connection with the landscape and a love for the wilderness. :: There’s a lot of bravado in landscape photography. Are you ever the recipient of any of it? Why do you think it is, and what can photographers do to make this realm a better place to work? I have witnessed quite a bit of it over the years and I think it's important to remember to ground yourself before your head floats away. The more I get out in the field and shoot around other photographers and the more engaged I become with social media, the more I seem to discover just how rare being humble is within the field. Realistically, Landscape and Nature photography occupies a very tiny niche in the world of art and overall popularity in the internet world. In other words, just because you might have a photo that hits 99.9 on 500px with 100,000 views, or have lead large workshops around the globe, it doesn't make you Johnny Depp. At the end of the day, we're all just nerds taking pictures of beautiful landscapes. :: How long does it typically take you to process through one image once you’ve got it home and set up the processing? 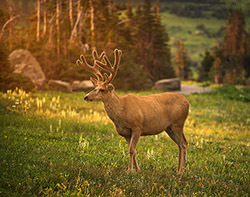 What are the key steps you follow when processing an image? It really depends on what the scene is. As an example, I will generally spend more time on a grand landscape image involving mountains with an interesting foreground, than I will on an image of a waterfall. I don't usually pay attention to how much time I've spent processing an image, but it probably takes an average of a few hours. My sort of go-to rule though after spending the initial time processing is to sit on an image for a few days. I do that because when I go back the next day, and the day after that, I will usually find something that looks a bit off. It's different for everyone, but for me if I've been staring at an image for a while, my eyes get tired and things start not being quite as accurate as they probably should be. I think it's important for me to take a break and revisit an image in order to be able to create what was truly envisioned. My processing workflow is constantly changing, but I always start out by doing as much as I'm able in Camera Raw before processing in Photoshop CC. From there, I will generally focus stack and blend multiple images depending on the exposure and overall sharpness. I play around with some dodging and burning, painting with color, adding some texture and a little tonal contrast, along with minimal Orton Effect before sharpening. It's a general run-down, but those are some of the the main steps. :: You mention a lot that your goal is to have your images resonate emotionally with a viewer. What does that look like to you? In your mind, what's going on (hopefully) with the viewer when they look through your work? I hope to put the viewer there within the scene, and to have them, even remotely, feel what I felt at the time when I was looking through the lens. If it inspires anyone to get outside more, then it is beyond worth it to me. My primary goal as a photographer is to spread awareness of the last true wild places that many people either take for granted or might never experience at all. Living in Washington State, thousands of people see Mount Rainier off in the distance frequently and become used to this majestic view as they drive down the highway to and from work every day. Maybe they've never been there, to one of the most beautiful National Parks in the world, even though they only live a couple of hours away. 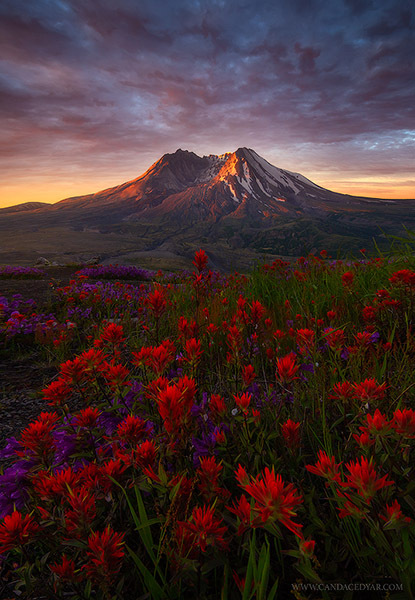 It's crazy for me to think that some people living around Seattle have not yet experienced the vast wildflower fields in bloom during the Summer at Mount Rainer, or the beauty of a Winter evening as the landscape is covered in fresh snow and the sweet silence envelops the land. I think that if more people did experience these wild areas on a more regular basis, then it might start to make them see everything very differently. Witnessing how life goes on with or without you in this fantastic expansive wilderness is really quite humbling. It can do wonders for a person to see the world from a much different perspective and perhaps even reveal some things about yourself that you had no clue were there. I think that what many people tend to forget is that we are all a part of nature as humans. We have become so accustomed as a society to distancing and disconnecting ourselves from it, placing ourselves in cubicles, and remaining confined indoors. Yet, it has been proven in a variety of studies that having a close relationship with the wilderness significantly reduces stress levels, promotes creativity and improves overall mental and physical health. Having stated that, I hope to communicate through my photography that wilderness is vital not only for the spirit and creativity, but for us to exist at all. These remaining undisturbed wild areas are indeed also the very roots that define us and make us human. It's important to discover those roots, and to nurture and care for them. Going back to our home outside allows us to find ourselves, and to discover certain parts of us that would otherwise remain buried somewhere within. :: What, in your opinion, does the future hold for landscape photography? With technology constantly improving, the social media insta-buzz pushing photographers to do more, and push the limits. Where is this medium headed? Where do you see your own future headed in contrast, and what about the world your daughter will grow up into? That's a great question and I'd honestly love to know the answer myself. Technology is always rapidly changing, so it's difficult to know what lies ahead. I would imagine that social media and technology in landscape photography will be extremely different when my daughter grows up. If I think back to when I was her age, no one was using the internet, everyone was shooting with film, and some successful photographers were making millions of dollars off of stock photos. It's a whole new world now, of course. It seems that we are approaching the point where iPhones can take images that are nearly on par with the quality of our digital SLRs, at least when viewed smaller via social media. I also see aerial photography and the use of drones becoming much more popular, something I plan on experimenting more with myself. With regards to social media, I enjoy interacting with others and viewing their art, but also make it a point to not get too involved with any of it, and certainly not to the point where there is any sort of drama. While there will always be new social media sites and ways of sharing photography, I see my future focusing more on being out in the field, working to advance my processing skills, and expanding my portfolio. When I first started sharing my photography, I was exclusively on Facebook. Now I post on 500px, Instagram and Flickr, but not as frequently as I probably should. For one thing, I simply don't have the time for all of it. But, more importantly, I also don't have the desire to be very active with all of it either. Marketing within social media is, of course, essential and vital if you want to get noticed and expand your business. However, social media can also have its adverse effects. It can start wearing you down and even make you doubt yourself if you start comparing yourself to others. You can begin a downward spiral and lose focus of what really matters if you become too enveloped in all of it. It's important sometimes to remind yourself that popularity, ratings and likes aren't really what is important. What you think of yourself and what you want for yourself is. :: What's on your bucket list? I plan on visiting both Alaska and Iceland next year (with Ryan) and hopefully Greenland within the next two years as well. Aside from that, I'd love to explore South Georgia and the South Sandwich Islands, along with the French Alps. I tend to gravitate more towards the mountains and colder climates, and feel more at home there. A few years ago I had a close encounter with a large grizzly bear while hiking up the Grinnell Glacier Trail in Glacier National Park to shoot sunset. I was with a small group of people at the time and we were all taking a short break to have some trail mix and take a breather before continuing up the path. We had heard from a couple of other hikers that there was supposed to be a bear in the area and to be aware of it, along with a mountain goat that was temporarily blocking the trail up ahead of us. At the time we were all resting in a small alcove with only about a couple of feet of trail between where we were and a steep cliff with a drop off of several hundred feet down below. One person from the group was standing up facing all of us at the time. I remember him suddenly freezing, his face turning pale as he said to us very quickly “bear, bear, bear...”. At the time I think we all thought at first that he meant this bear was still fairly far away, further up the trail somewhere. In reality, the bear was standing literally only a few feet from where we were. I had the weirdest chill go down my spine as I heard this massive bear take a few big breaths and grunts near us and looked up to see it staring at us, checking us out...and our food. It likely just wanted to make its way down the trail and we were there in the way. Our options were to either start backing down the trail where we came from (seeing as though we didn't want to jump off the side of the cliff), or to try warding off the bear and having it hopefully go around us into the brush up above where we were. Thankfully, Ryan was able to do the latter successfully. He already had a few other grizzly experiences under his belt at Glacier, one being with a mother and cubs who had charged him. Seemingly unfazed by the situation, he shouted at this bear to go away, armed with spray in hand. If he hadn't, then I'm honestly not sure how exactly that whole situation would've panned out. That was my first time ever seeing a grizzly, and it was an up close and personal encounter, to say the least. It makes you realize just how small and weak you are when you have that much raw power standing in front of you. It was truly both a humbling and scary experience. :: What's your favorite piece of non-photographic gear, and why? That's a tough one, but I'll have to go with my waders. While I don't take them everywhere, they are extremely useful and can make a huge difference with helping to access certain areas. During my trip to Norway this past Fall I probably used mine about 75-80% of the time while shooting. I would literally sink into the ground in certain areas, and also wanted to be able to shoot while kneeling and standing half-submerged in the freezing water near waterfalls and at the various beaches there. If I know that I am going to be near or around water, I always bring my lug-sole waders. They last a long time and are very insulated and comfortable in cold water and freezing temperatures. The biggest bonus overall is the resulting images you're able to take from more challenging perspectives with them on. :: What advice would you pass on to young women looking to get into a career as an outdoor nature photographer? I would say to try and not focus so much on the fact that you're a woman in this field, but rather, what you want to accomplish and the path you hope to take. Don't stray from that and don't let anything or anyone deter you from wanting to live out your dreams. Take your time to figure out what it is that you want for yourself long-term and create a plan and strategy to get there. That might mean starting out part-time versus going full-time. Do what works best for you and where you're at in life. While it might be difficult sometimes and we may be a minority in this particular field, that doesn't mean that you can't accomplish the same things as anyone else making a career as an outdoor nature or landscape photographer. The field is quickly changing and it's a pretty awesome thing to witness. :: What are you the most proud of when it comes to your photography, over your career? Definitely the process of self-discovery and learning more about myself with regards to my photography. I'm not at all the same person I was 7 years ago. If I stand outside of myself sometimes and observe everything, I can see this path that I've taken and where it has led so far over the years. A little over 7 years ago I was suffering from depression and unsure of what I wanted for myself in life. I have a wonderful daughter and have always loved being a mother, but I still felt this void there. I wasn't happy with myself and I didn't feel any sort of connection with myself. It's difficult for me to describe what nature photography has done for me. Having something so personal and beautiful transform your life and make you understand your own value as a person is something far beyond what words can convey. Witnessing my own evolution as an artist by reminiscing and looking back at older images opens my eyes to how much I have changed and grown over the years. There are so many memorable experiences with photography and the wilderness that have influenced me and made me who I am today. "I hope to communicate through my photography that wilderness is vital not only for the spirit and creativity, but for us to exist at all."